To Sudo or Not to Sudo? That Is the Question. It’s more than likely that your employees will need access to privileged information in order to do their job. 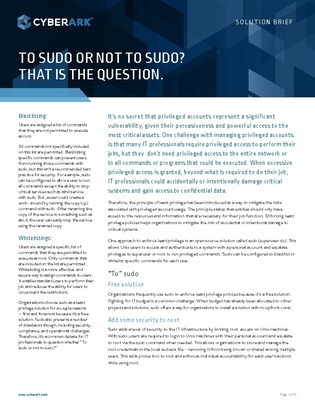 But to avoid unnecessary security risks, many organizations have implemented the idea of “least privilege” managed by the open source system; “sudo”. And more, so you can decide whether or not to sudo.